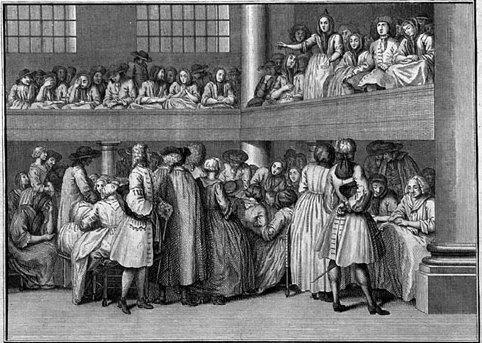 The Religious Society of Friends, also known as Friends or Quakers, first arose in the mid-1600s in the midst of a time of dissent in England. After a time of inward struggle, George Fox, the founder of Quakerism, had an immediate experience of the presence of Christ, in which he understood that “Christ is come to teach his people himself.” Fox’s intent was not to form a new denominational group, but to bring a message that helped people return to what he felt was a first-century faith. This direct experience of Christ, or “the inward Light,” is important to Quakers. This primacy and immediacy of spirit gives rise to other important ideas among Friends, such as “the ministry of all believers” (each person has continual access to God’s presence and truth) and “that of God in everyone” (each living being is beloved of God and has God’s light within, thereby forming the basis of our views about peace, respect, and equality of all beings).